Be a journey insider---receive four bottles of Calico wines at your door or pick up at the winery every three (3) months at a 15% discount. You will receive e-mails on all the latest releases and events, the opportunity to purchase select reserve wines and receive one glass of wine per membership at all winery hosted events. It is free to sign up, just the cost of the wines at the Club rates plus shipping or choose to pick up your wines at the tasting room. We would love to see you! Check out our new sign up format by clicking on the link below. Next shipment will be March! Please fill out your information and mail or visit us at the winery. If you need to update any of your wine preferences, payment methods, or personal information such as phone and email, click on the "Update Your Wine Club Subscription" button below. 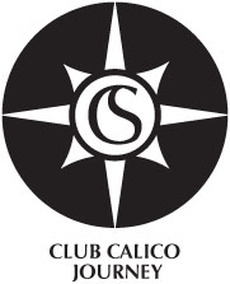 We will be hosting a party for our Club Calico Journey Members, Sunday, March 10th! Tour our new Wine Club Lounge in the Loft and experience a Vertical Tasting of Deebo. Wood Fired Pizzas will be available to purchase and live music starts at 2! You will have an opportunity to purchase vintage wines and can pick up your Club Calico Journey order when the party is over or on your way out. INCLUSIONS : Talk on the newly remodeled wine club lounge and other new things going on both in the winery and out in the Vineyard! Vertical Deebo tasting!